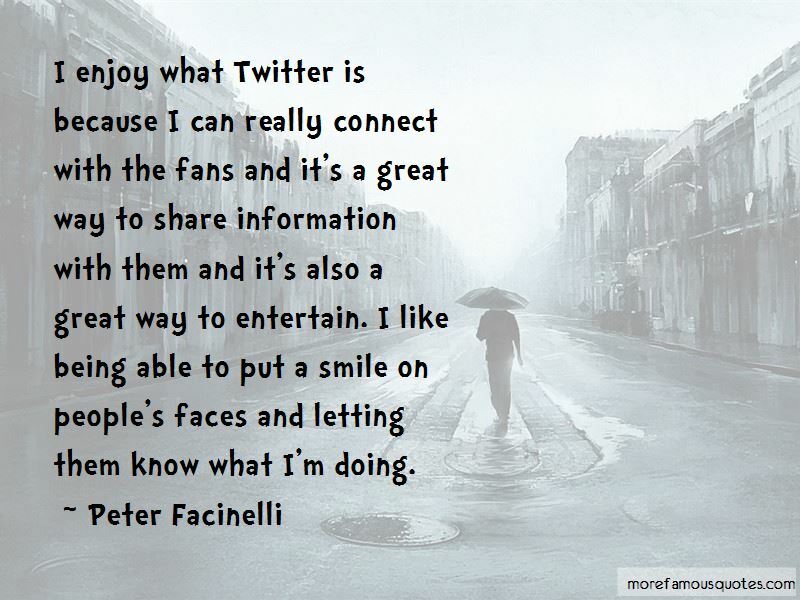 Enjoy the top 26 famous quotes, sayings and quotations by Peter Facinelli. Last week I was in London at an awards show, then I flew home and was in an RV park with my wife and kids in our motorhome, this week I'm in NY doing a charity event, and tomorrow I'll be coaching my daughters soccer practice. I guess the range of roles I play on film stem from the range of roles I play in real life. When I was younger I saw a movie called 'Butch Cassidy and the Sundance Kid' with Paul Newman and Robert Redford. Those two actors and that movie was my inspiration to want to be an actor. There was a lot of expectations and pressure on the first one, because the fanbase is pretty big, when we were shooting the movie. I think the whole cast was aware of the responsibility we had to tell Stephanie's (Meyer) story, to try to get it right and take our work seriously. I think we're all fans of Twilight. Being in this Saga, you become a fan. I have the whole DVD collection at home. I put it on every day and watch it at least five times a day. Is that weird? 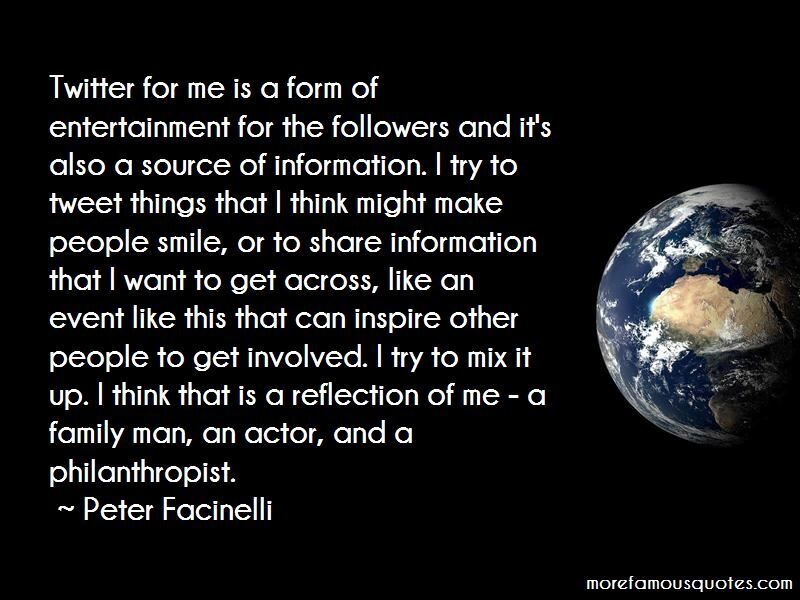 Want to see more pictures of Peter Facinelli quotes? 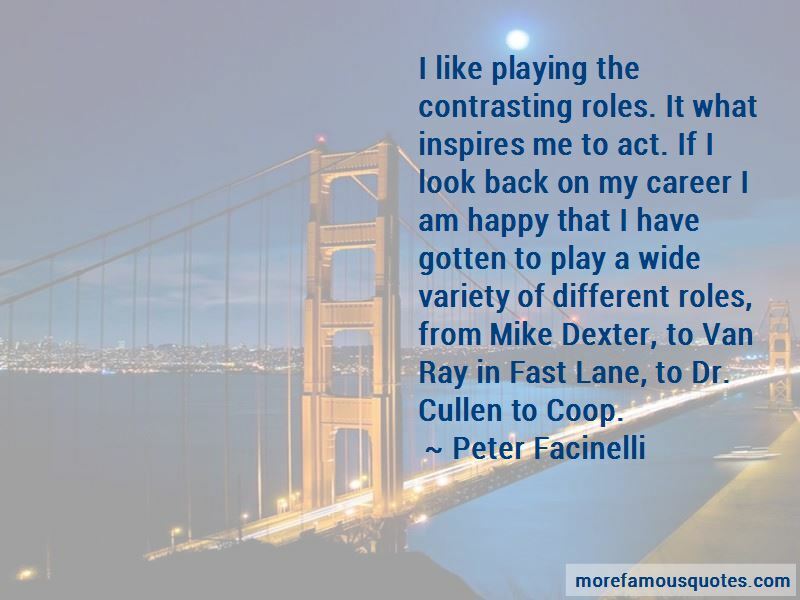 Click on image of Peter Facinelli quotes to view full size.